Most low-income families struggle to provide daily nutritious meals for their children, especially when food costs can significantly rise during the summer months when school is no longer in session. 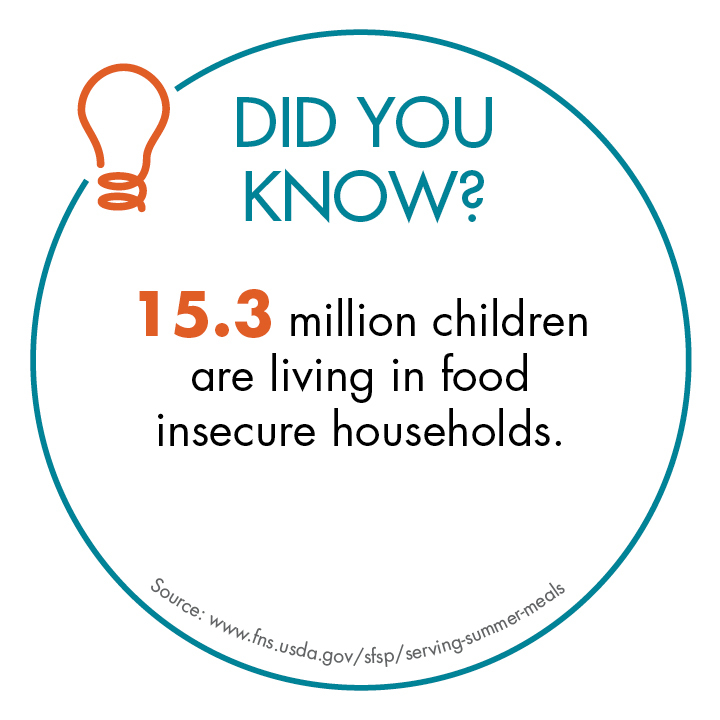 An estimated 14% if American households are good insecure, which means about 15.3 million children are living in food insecure households. About 22.1 million children and teens receive free and reduced-price meals through the National School Lunch Program. 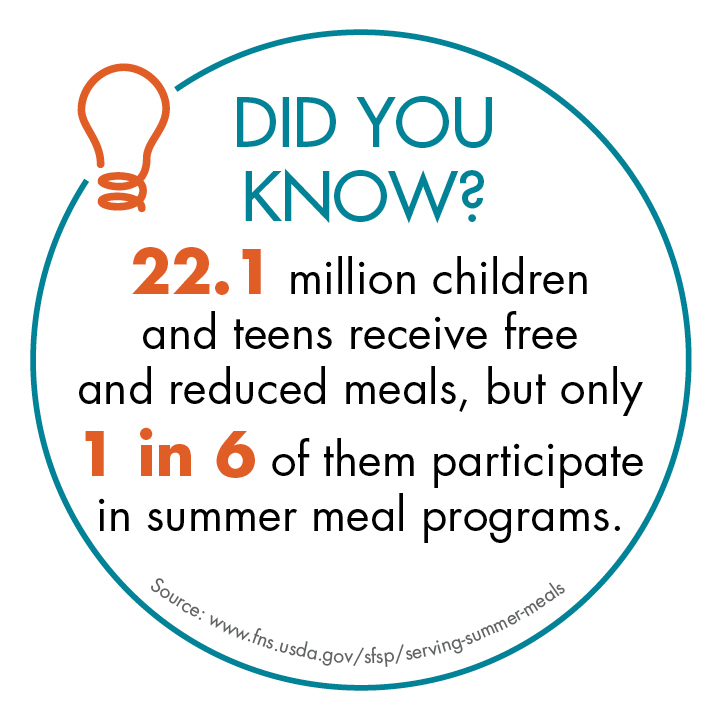 But only about 1 in 6 of those (approximately 3.8 million) participate in the summer meal programs. The Summer Meals Program is known as the Summer Food Service Program (SFSP). The SFSP is a federally-funded program that compensates state managed providers who serve low-income children, 18 years and younger, healthy meals during summer months when school is no longer in session. How Do I Start a Summer Meals Program? First step would be to contact your State Agency to determine your eligibility. Your state agency will be able to help you determine if your location is located in an eligible area for serving summer meals. They will also be able to put you in contact with a local sponsor. Your organization can also determine if a mobile meal delivery option is needed in your community. Use HUBERT's Summer Feeding Toolkit to stock your sites or mobile delivery operations with the supplies to properly package, store and transport your summer meals. What is Mobile Meal Delivery? Traditional sites are physical locations where students are required to travel to receive their meals. Sites and sponsors quickly realized this method was not feasible for children living in rural areas. By creating a Mobile Meal Delivery service, sites have the option to transport their summer meals to isolated rural areas ensuring eligible children can be fed without having to travel to a physical location. How does Mobile Meal Delivery work? Sponsors are responsible for delivering meals to approved sites throughout their communities on approved days and within approved time frames. The sponsor is required to serve a reimbursable meal to students while supervising that all summer meals are consumed on site or near the drop-off site. Paducah School District has accepted the challenge to end summer hunger within their community. The district currently has a total of 22 active sites with 11 of those being mobile meal deliveries, which are all, ran by school staff and volunteers. Each site provides an average of 100-200 students with a reimbursable meal for breakfast and lunch. In 2017, Lynsi Barnhill and her community were able to serve 33,800 hungry children. Watch the video to hear more of their story.